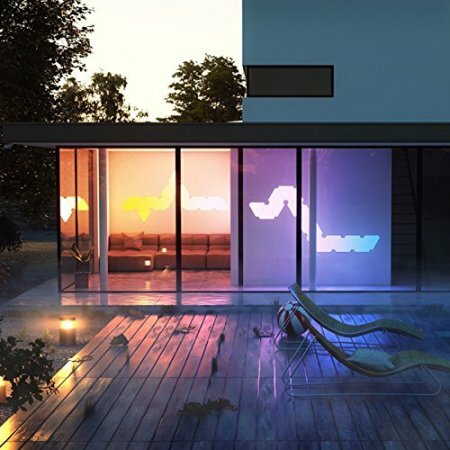 This expansion pack for the Nanoleaf Aurora Smarter LED Panel Kit contains 3 additional panels to help you realise even more wild and wonderful lighting ideas. 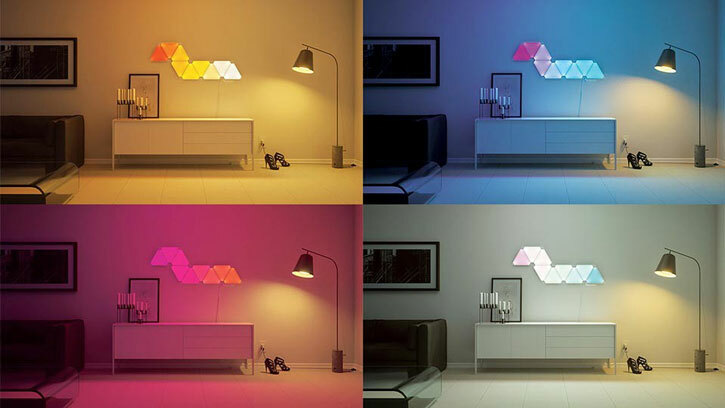 No extra power supply necessary - simply plug these LEDs into your Nanoleaf Aurora and enjoy. Once you purchase you Nanoleaf Aurora Starter Kit you maybe tempted as I was to enlarge your design with the Expansion Pack. I have purchased 2 Expansion Packs from MobileFun, why? 3 reasons, their service is great with a selection of delivery options and because they always have them in stock or if not allow you to receive an email when they are back in, and thirdly they are competitively priced. Compare that with Amazon who when I last checked had a 2 -3 month waiting time. I found MobileFun by chance but they are now one of the first places I go to to find my tech. 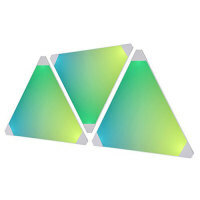 Please note: Nanoleaf Aurora panel kit not included. 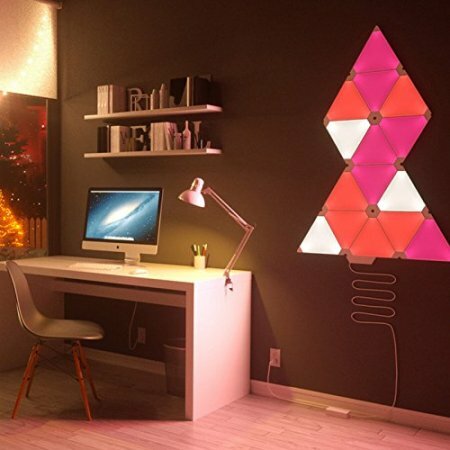 Got the perfect arrangement in mind for your Nanoleaf Aurora Smarter LED Kit, but just don't have enough panels? Never fear. This expansion pack contains three extra LEDs to help you expand Aurora and realise the sprawling visual masterpiece contained within your mind. Aurora's modular design allows for multiple expansions to be chained, too, so the limit is your imagination. 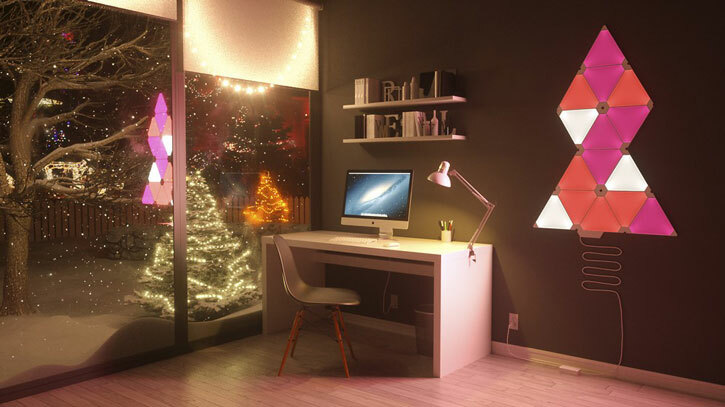 Once you've built your pattern, customise further by creating stunning lighting scenes and animations to set the mood and aura within the room. With 16.7 million colours to choose from, the Aurora Smarter Kit Expansion Pack will help you set even more unique scenes and is perfect to create a relaxed, happy or productive atmosphere. 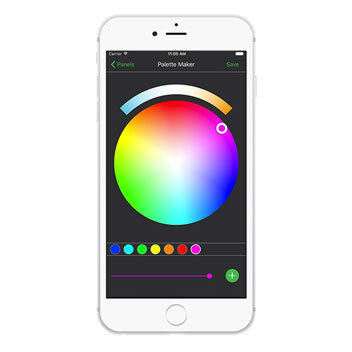 Available to download for free from the App Store (iOS) and Google Play Store (Android), the Smarter Series App opens up a world of customisation, enabling you to choose from a extremely wide range of colour options to paint your panels with, in addition to changing the speed and brightness of the panels. Through the app, you'll even be able to create and save time triggers, to turn lighting scenes on and off automatically. As a hub is not required, connection via WiFi will have you customising your Aurora within seconds. 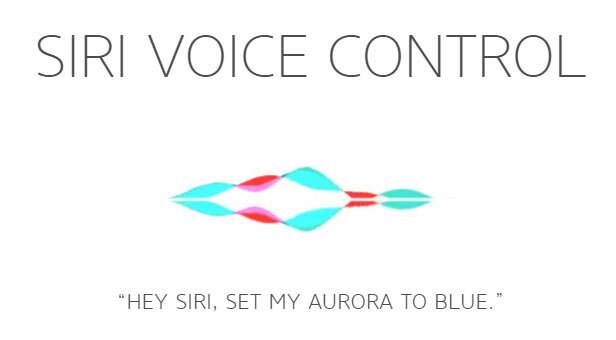 Compatible with Siri on iOS and Amazon Alexa, controlling Aurora is seamless. Simply tell your smartphone what to do and watch the scene change in your room, within a matter of seconds. As Aurora features it's own controller unit, you're not limited to only having to use a smartphone to control it. 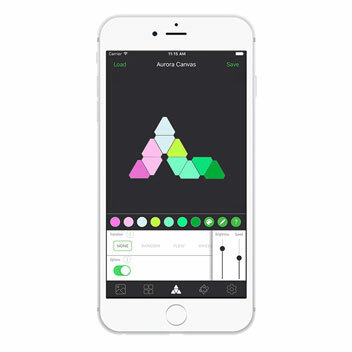 With a power button, pre-loaded scenes and the option to select saved scenes, controlling Aurora is made simple. 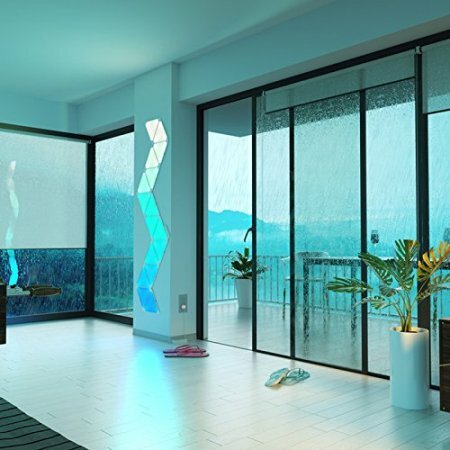 Installation is made simple with the included mounting strips, stencils and panel connectors. 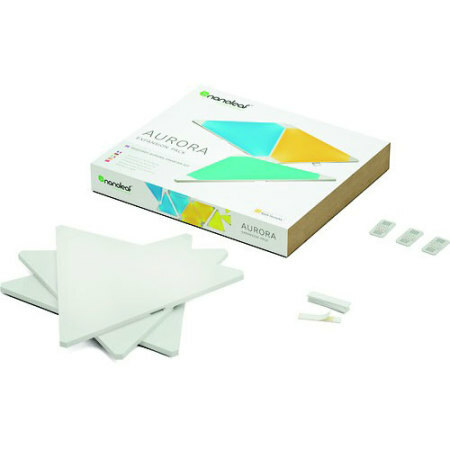 As all mounting has been designed to be drill-free, attaching the Aurora Smarter Kit Expansion Pack with the included mounting strips ensures damage to your wall is minimised and means creating new designs or re-locating Aurora is problem free. Of course, you don't have to stop at three extra panels. Aurora supports up to 30 panels on the same power supply and controlled by the same app, so those epic visions don't have to stay visions for long. From vast mountains to art-deco cityscapes, anything is possible with Aurora.